The sparkling cherry blossoms are bejeweled with crystals. The tree is painted with a metallic finish. 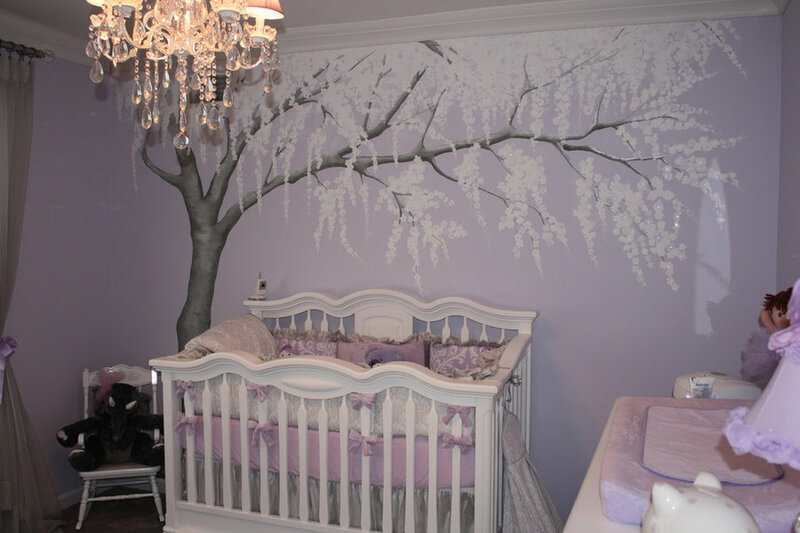 ©Murals and more by Patrice This was shared on Project Nursery about a million times. 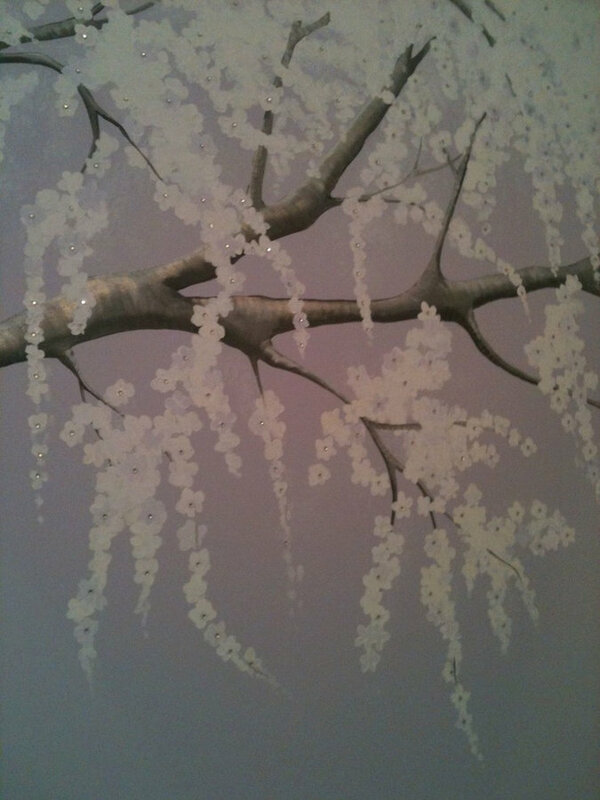 The cherry blossoms are bejeweled with swarovski crystals. The tree is painted with a metallic finish.